Bring order to your house with a few neat organizing ideas. Check out walls for ways to rein in the chaos. Interior designer Mark Brunetz, cohost of Clean House on the Style Network, recommends creating a custom bulletin board for posting notes and schedules, school papers and kids' artwork. Paint a portion of a wall in the kitchen with a few coats of magnetic primer; follow with a couple of layers of chalkboard paint. Extra-strong magnets work best on this surface. Brunetz likes to frame the area to make it look finished. Mighty Magnets, containerstore.com, $13/6. Frame, dickblick.com, from $20. Chalkboard paint, Rust-Oleum, homedepot.com, from $10. Free up counter and cabinet space with racks of all kinds. Install a sturdy steel grid on a wall near the stove for hanging pots and pans. Get knives out of the drawer and up on a magnetic cutlery strip where they're out of the way of kids but easy to find. Large wall grid, containerstore.com, $18. Chicago Cutlery MagnaStrip, kohls.com, $30. Look to the spaces below tables and benches you already own. "If it has four legs, you can probably put baskets or bins underneath," says professional organizer Monica Ricci of HGTV's Mission Organization. One genius example for the entryway: Arrange rolling canvas bins below a console and put incoming catalogs in one, stuff to recycle in another, trash in a third. "This way junk mail and garbage never make it into the house," says Erin Doland, editor-in-chief of Unclutterer.com. Or stash wicker baskets under a bench in the mudroom to contain seasonal items like hats and gloves. In the kids' rooms slide large, shallow drawers underneath beds to gain extra storage for clothes and linens. Circo toy tote, target.com, from $15. Wicker hamper, csnstores.com, $40. 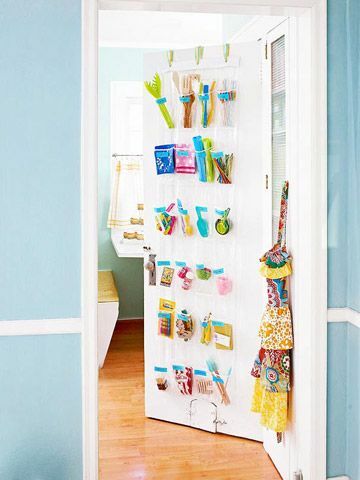 Create storage behind closed doors. "There's about 14 square feet on the back of a standard door—use it!" Ricci installs shallow shelves that grip onto the top of a door for supplies in a pantry and cosmetics in the bathroom. A wire or Lucite magazine rack mounted on a door can hold cookbooks in the kitchen, while a hanging shoe bag with clear pouches is ideal for all those hard-to-find cooking items and other gadgets that go missing. Over-the-door storage rack, stacksandstacks.com, $29. Honey-Can-Do over-the-door shoe organizer, amazon.com, from $12. Gain more square inches inside cupboards and cabinets. 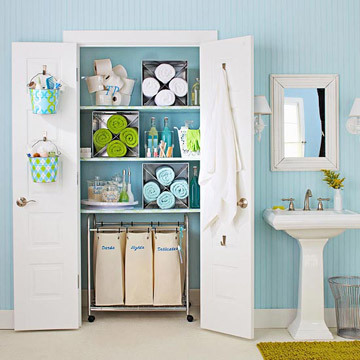 Place containers of all sizes inside the bathroom vanity—a plastic tote for cleaning supplies and a variety of pretty tins, jars or bins to corral towels, hair dryer, brushes and beauty products. And attach adhesive hooks to hold a handled mirror or curling iron. "Those from 3M are removable and won't damage surfaces," says Ricci. Ultra caddy, Sterilite, stacksandstacks.com, $10/2. JJ Cole storage box, bedbathandbeyond.com, $17. 3M Command hooks, amazon.com, from $4. 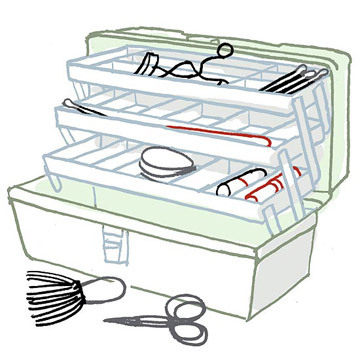 To hold recipes, takeout menus and coupons, Ricci suggests adhering a couple of plastic binder sleeves to the inside of a cabinet with double-side tape. Chances are you already own what you need to get organized. Here, clever ways to repurpose some common household items. 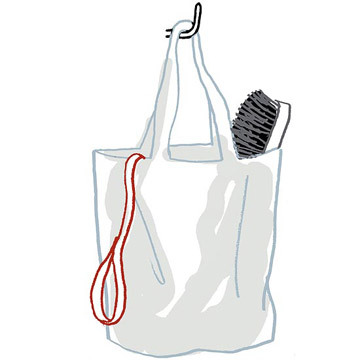 What to do with those free totes you've collected? Hang a few on pegs in an entry or mudroom and use them to stow gardening, dog-walking or beach supplies. Pull out what you need or grab the tote if you want it all. A bureau doesn't have to be banished to the bedroom. 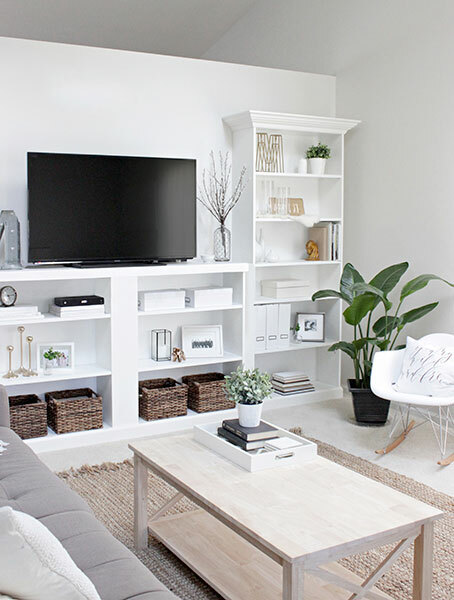 Brunetz likes to place one in the family room instead of a console or end table, which tend to be skimpy on storage. 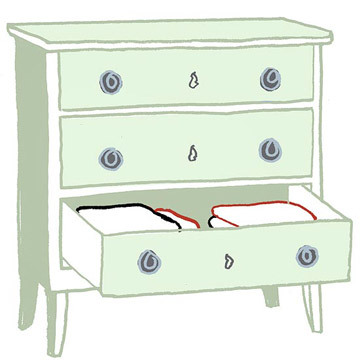 Refurbish an old piece with fresh paint or stain, and fill the drawers with board games, video game equipment or throws. "Ice cube trays are great because they stack," says Ricci, who suggests putting them in a dresser drawer to organize jewelry (give each necklace, bracelet, ring and set of earrings its own compartment). 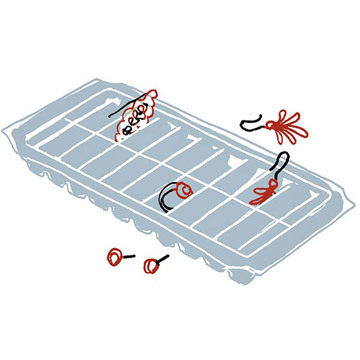 The trays can also hold small office supplies, such as paper clips, thumbtacks and staples, in a desk. Jam and salsa jars are the right size for crafting and scrapbooking supplies (beads, ribbon, photo corners, markers), and allow you to see the contents. 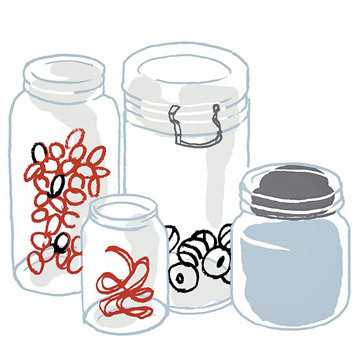 Repurpose marinara jars for taller items, like paintbrushes and pipe cleaners. On a workbench, small vessels can house nails and screws. To free up space, superglue the lids to the underside of a shelf, then screw the jars into the lids. 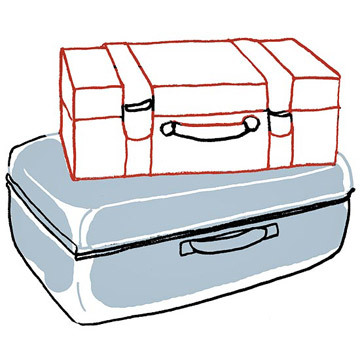 When your luggage isn't on vacation, store off-season linens or bulky garments like parkas and sweaters in them. 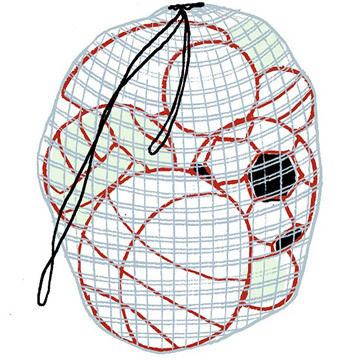 Round up space-hogging sports equipment (such as basketballs, soccer balls, helmets and bats) in a mesh laundry bag and hang it from its drawstring in the basement or garage. A plastic clothes basket with handles also works well. Doland keeps her makeup in a tackle box. Tubes, bottles and brushes arranged in the various compartments stay neat and are easy to see. It's also a great choice for jewelry or art supplies.